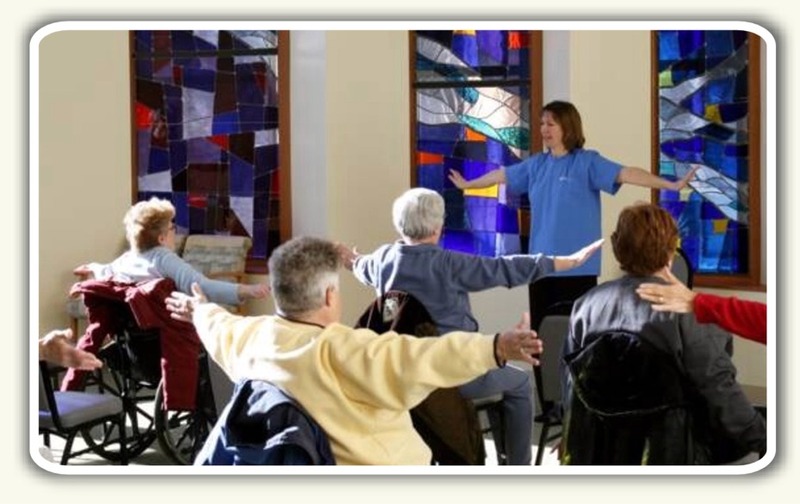 Seated Tai Chi DVD, specially created at the Marianjoy Rehabilitation Hospital, is for people of any age who need to take a seat for Tai Chi. Contact the Marianjoy Rehabilitation Hospital Gift Shop to purchase your DVD. This DVD is 90 minutes in length and offers many of the same benefits as standing Tai Chi. What is Seated Tai Chi? Seated Tai Chi can benefit anyone needing to take a seat for exercise, seniors, pregnant women, people living with disabilities or anyone needing or wanting take a slower pace. Seated Tai Chi will give you some of the same benefits as standing Tai Chi - deep breathing, balancing both sides of the body, upper body strength and flexibility, deeper circulation and more oxygen to the organs and body extremities. With Seated Tai Chi, or also called Chair Tai Chi, you should sit in a chair that is firm but comfortable. It should be low enough for your feet to touch the ground. With your feet flat, your thighs should be parallel to the ground. Use a chair without arms to maximize your range of motion, as long as you have no problems with stability. Just like with standing tai chi, posture is a vital part of the exercise. Unless a movement demands otherwise, keep both feet flat on the floor with your knees forward and legs parallel to each other and the ground. Your spine should be straight, with your hips aligned over your shoulders and your shoulders beneath your head. Whether you are practicing standing Tai Chi or seated Tai Chi, you will enjoy the relaxation, clear mindedness and better health, the art of Tai Chi can give you.